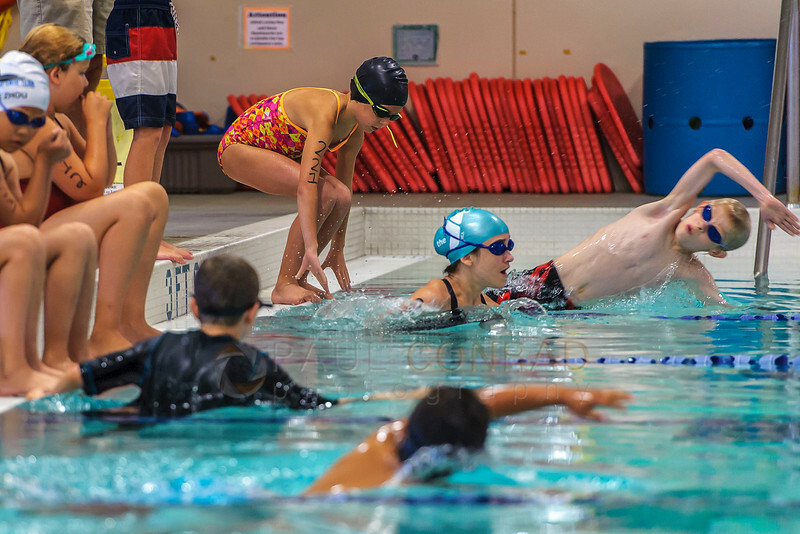 Sunday was a fun day covering the 2016 Youth Triathlon at the Arne Hanna Aquatic Center in Bellingham. It was the Mini Olympics as over four dozen children participated in three divisions with Division 1 for 11 to 13 year olds, Division 2 for 9 and 10 year olds, and Division 3 for children 6 to 8. It was a beautiful sunny day the Sunday before the 2016 Democratic National Convention in Philadelphia, over 200 supporters of Sen. Bernie Sanders gathered to show support for Vermont Senator. 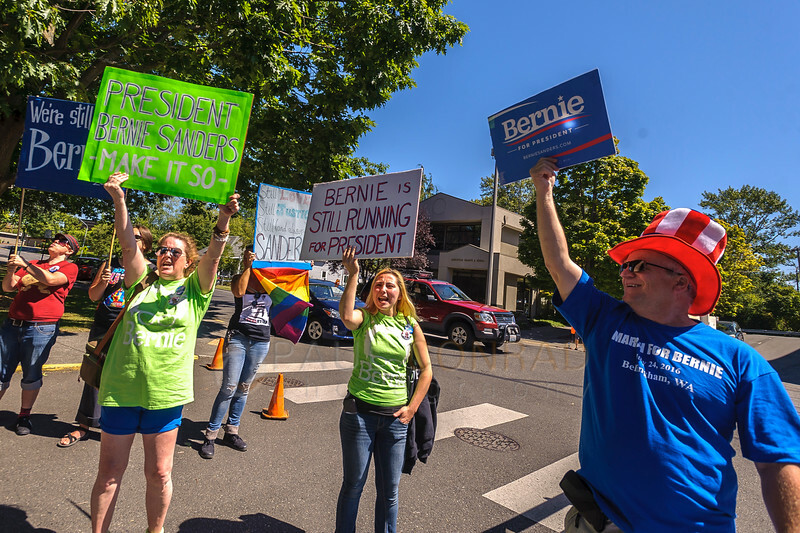 Still “Feelin’ the Bern,” they began their march at Bellingham City Hall at the intersection of Commercial Avenue and Lottie Street. On Saturday July 25th, just a month past the U.S. Supreme Court decision that legalized gay marriage throughout the country, I had the pleasure of capturing true love. Sand and Ellen were married after knowing each other for over 30 years. It was a small intimate wedding and informal wedding. But beautiful none-the-less. © Paul Conrad/Pablo Conrad Photography – Ellen and Sandy sing to each other as they dance during their reception at their home. The light was beautiful during the ceremony and as it became later in the evening, the videographer, Michael Dyrland of Dyrland Productions, lit the area with two bright video lights. I stayed in front and to the side as I captured the guests dancing. But soon, I decided to go to the back as I liked the effects of the video lighting: they created a nice rim and back lighting effect. It added drama without being overbearing. Plus as people danced, their faces were being lit by the lights. As I moved to the back to shoot towards the lights, Sandy and Ellen began to dance to a slow song. While they were dancing, I noticed how the video lights lit their faces, created rim lighting on their matching hats, and how bright sky filled in the shadows. But, the moment lasted only 6 frames. As Sandy reached up and cupped Ellen’s face in her hands while singing, I was able to fire off a few frames before a guest came up and began dancing between them. The moment was gone. I wish it was a touch more symmetrical, but I’ll take this photo. As I downloaded the images, this frame stuck to my mind like spaghetti on a wall. I knew it was good, but I needed to know if it was truly sharp. They couple wanted to talk to me due to my “photojournalistic eye and style” they said during the interview. I’m pretty certain they were interviewing me, not vise-verse. Within a few minutes of meeting with them, we forgot about photography and began telling stories of our lives. A 15 minute meeting turned into an hour or so of laughing. It was a great time. For more of my wedding work, visit my gallery Wedding Portfolio of Bellingham Seattle Photographer Paul Conrad. To book your wedding in the Bellingham, Wash., area, send me a message using my Contact Form | Paul Conrad Photography. Don’t forget to sign up for email updates with tips and tricks to improve your photography. 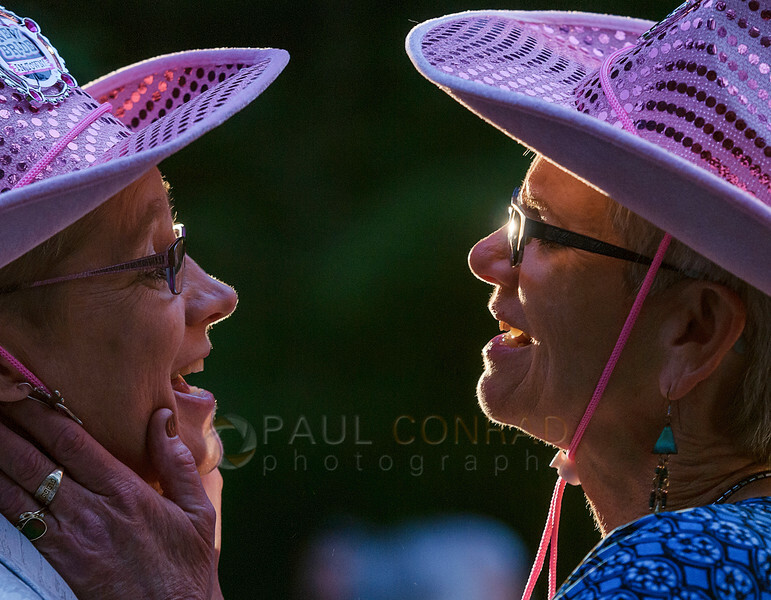 Paul Conrad is an award-winning, nationally and internationally published freelance editorial photographer living in Bellingham north of Seattle, WA, in the Pacific Northwest. His work has been published in newspapers and magazine throughout the United States and in Europe. He is available for assignments anywhere in the Pacific Northwest. His clients include Getty Images, Wire Image, AirBnB, The Bellingham Herald, and many local business in Whatcom County. Previous clients are Associated Press, the New York Times, L.A. Times, Denver Post, Rocky Mountain News, and many others. His specialty is photojournalism covering news, sports, and editorial portraits, he also is skilled in family portraiture, high school senior portraits, and weddings.